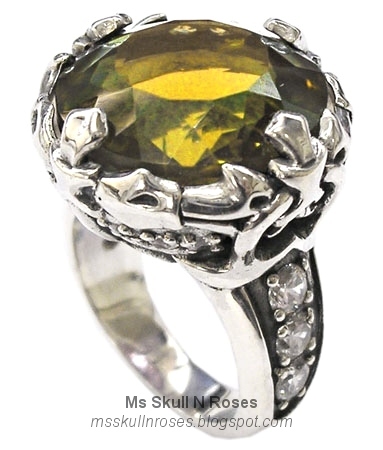 Genuine semi precious stone ring measures a stunning 16mm in just the stone alone. Your eyes will light up when you see this beautiful ring shimmer in the daylight. 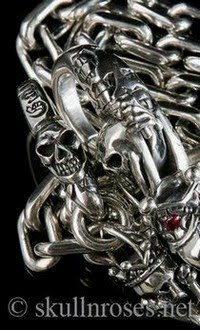 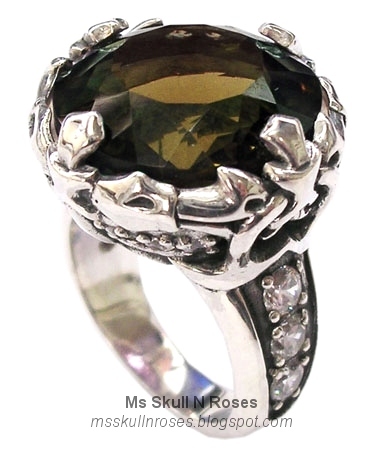 The "Capture my Soul" ring is handcrafted in .925 sterling silver and sure to please even the most expensive of tastes. 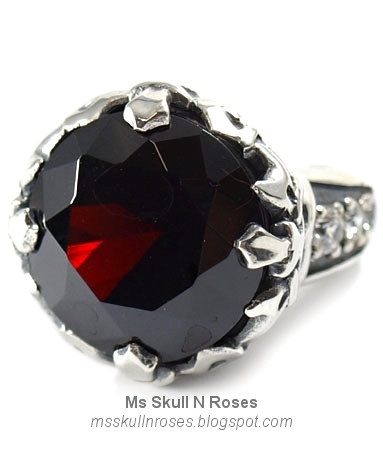 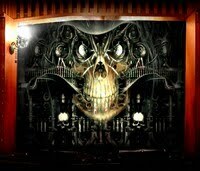 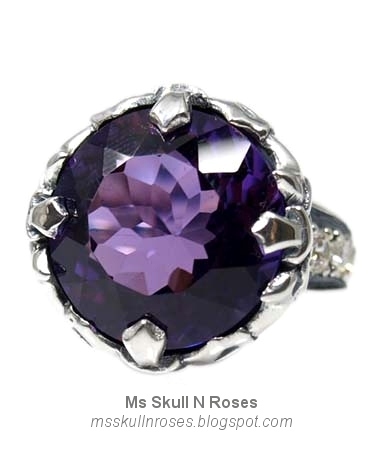 Available Stones: Smoky Topaz; Amethyst; Blue Topaz; Citrine; Garnet - by designer Deva Rose for Ms Skull N Roses.